Last month, Disney’s deal to acquire Fox’s entertainment assets was finally closed. That means the X-Men, the Fantastic Four, and Deadpool will inevitably make their way to the Marvel Cinematic Universe. While Kevin Feige has indicated that new X-Men movies may be several years away, that won’t stop questions about how the new characters will relate to the MCU, especially Deadpool’s impact. While speaking with Fox 5 DC, Avengers: Endgame directors Anthony and Joe Russo were asked how they imagine Deadpool interacting with the Avengers. “He breaks the fourth wall so it changes tones,” said Joe Russo. “I would tell you this, and this is how we craft all of these moments, we would literally lock ourselves in a room for two months and discuss this question before we could arrive at an answer,” added Anthony Russo. Naturally, the comics tend to have to the best solution to that dilemma. In Deadpool’s solo adventures, he’s freely allowed to break the fourth wall. But during Deadpool’s adventures outside of his own title, fourth wall breaking moments are usually kept to a minimum. 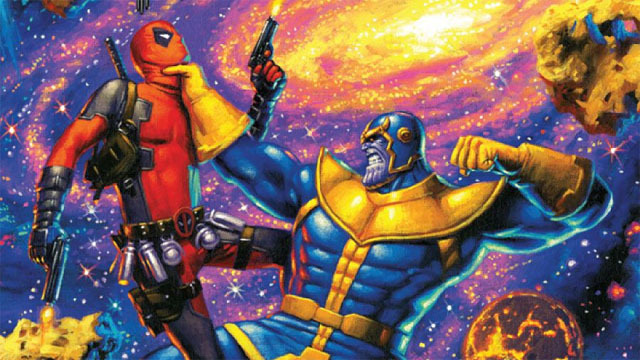 How do you feel about the potential of Deadpool’s impact on the MCU? Let us know in the comment section below!